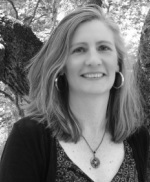 Charlotte Gullick is a novelist, essayist, editor, educator and Chair of the Creative Writing Department at Austin Community College. A first-generation college graduate, she received her AA with High Honors from Santa Rosa Junior College, a BA with Honors in Literature/Creative Writing from the University of California, Santa Cruz, and a MA in English/Creative Writing from the University of California, Davis. She graduated with a MFA in Creative Nonfiction from the Institute of American Indian Arts in May 2016. Charlotte's first novel, By Way of Water, was chosen by Jayne Anne Phillips as the Grand Prize winner of the Santa Fe Writers Project Literary Awards Program, and a special author's edition was reissued by the Santa Fe Writers Project in November of 2013. Her other awards include a Christopher Isherwood Fellowship for Fiction, a Colorado Council on the Arts Fellowship for Poetry, a MacDowell Colony Residency, a ﻿Ragdale Residency,﻿ Faculty of Year from College of the Redwoods as well as the Evergreen State College 2012 Teacher Excellence Award. She has taught in the Travis County Correctional Complex and organized classes and literary events for Veterans in the Austin Community. Additionally, she has presented twice at the Associated Writing Programs Annual Conference (Washington, DC and Chicago, IL) on offering writing courses for Veterans. Charlotte’s work often explores the intersection of landscape, legacy, family, and identity, and she believes deeply in the power of story to create healing and coherence. She lives in Austin, Texas with her husband and daughter.